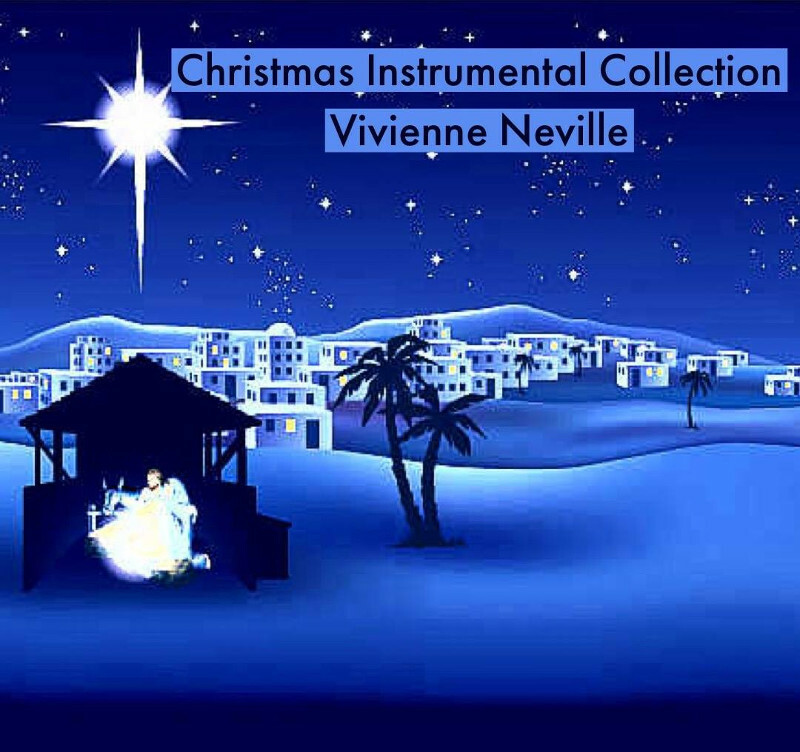 LTTM caught up with singer/songwriter Vivienne Neville to find out about the stunning new version of the classic old hymn 'What A Friend We Have In Jesus' that she recently been involved with. As Viv explains, there's a very special story behind how the single came together. Your new single was recorded in memory of Taira Johnson Baughman who passed away last year - can you tell us a bit about about her and how you knew her? 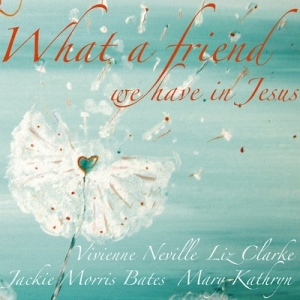 Read More LTTM caught up with singer/songwriter Vivienne Neville to find out about the stunning new version of the classic old hymn 'What A Friend We Have In Jesus' that she recently been involved with. As Viv explains, there's a very special story behind how the single came together. I met Taira through my friendship of her mother Jazz/Gospel Singer Jackie Morris Bates. Taira was Jackie's only daughter, once you met Taira you never forgot her. She had bravely fought one battle with cancer which then went into remission but a few years ago it came back. Taira encouraged many people as she went through her journey with this terrible illness. Taira was brave beyond belief and blogged her journey which can be viewed here. Taira had a way of living life to the full regardless of her situation. She dealt with all the treatment but then continued to squeeze every drop of daily life and enjoyed her life to the full & did much vital work for others suffering with cancer. This is an example of the strong women that she was, only days before she passed into heaven she went to watch her little son Braydon's football match. When Taira went to heaven her hubby Rob not only lost his wife and the mother of his 4 wonderful children but he was also left with a huge medical bill. The amount of this bill was hugely distressing to hear about on the back of this precious families loss. We in the UK are so blessed to have the NHS. Rob's country don't have this facility so have the added burden of medical bills. I have recently been told about a certain way that God works which I know has been a pattern in my own life and that you will recognise as well which was explained to me in an amazing way recently. When God lays something on our hearts that He wants us to do, that certain issue starts to form in the spiritual before it is fully birthed in the natural. When I heard about Rob's added burden, I felt distressed for him. God laid on my heart day by day every step of this project, it was as though He was writing the blueprint onto my mind and into my heart each day step by step. Some of those steps I questioned, "how can I do that? How can I ask that of people?" etc But God has taught me that when we believe something is from Him we must not be afraid of a "No" from people. When we ask things of others they can say "Yes or No" We haven't got to allow a possible "No" from stopping us from moving ahead. Everyone I approached and asked a lot from for this project said "Yes" and everyone who gave of their time and talents did their very best and were happy to contribute to this project. This has been a joint effort from a wonderful group of people from the UK & USA. God showed His favour every step of the way and for that we thank Him. A special thank you to the producers Chris Smith & Nic Burrows Raindance Studios UK & Neil Andrews Room At The End Studios Franklin TN USA. The single revisits the classic old hymn 'What A Friend We Have In Jesus', why that song? At the beginning of this project a friend Joe Rudy Hernandez posted a video of Taira, her mom Jackie & I around Jackie's piano in the US singing "What A Friend We Have In Jesus" I love this old hymn. I then started to research the background on this song and came across a final verse that I hadn't heard before. The last 4 lines of that verse fitted perfectly with where Taira was now living. So the first part of this Hymn clearly speaks to us in our lives that we are living now, but the end of this glorious Hymn speaks clearly of worship in heaven, our future home. It wasn't until after finishing this project that I became aware of the fact that this was the final song that Jackie & Taira ever sang together. The whole teams hopes for this single is two fold. This is a very powerful classic Hymn which nearly everyone knows. We hope that this single will be a great reminder to everyone who hears it and comes across it of the great truth "What A Friend We Have In Jesus" Taira was surrounded by the prayers, love & comfort of countless people but at the end of the day it was her great faith in Jesus as her friend that carried her through. Our friend Jesus will always be there for us, loving us, wanting the very best for us, caring for us, comforting us and giving us life in all it's fullness. He wants our Spirit to be connected to His in prayer & worship so that we may experience His peace regardless of circumstances and to know His guidance in life. The other hope for this single is that people will share the story behind the making of this single and that they will download the single which will help Rob & his children. We can all do our little bit for this wonderful family. Who else sings on the track? Taira's mom my dear friend Jackie Morris Bates (Nashville) starts and finishes this song. The day we recorded the vocals in Franklin Tennessee was only a few months after Taira had gone to heaven, so the emotions were very raw at times during the day. Jackie was amazing as you can see in the video, she has a great sense of humour and is a lot of fun to work with. At the end of the day's recording as you can imagine it was very emotional as we all listened back to the work that had been created that day. Mary Kathryn (Nashville) we describe as the Celtic voice of the US. We really wanted Mary Kathryn to be part of this project and to bring her beautiful voice and spirit to this project. Check out her Youtube videos, stunning music. Liz Clarke (Ireland) added such depth to the recording, her vocal range is superb, spine tingling effects. This isn't the first time you've recorded with Liz Clarke is it? Last time we spoke to you on LTTM you'd just released your album 'Veiled In Mystery', how has that album been received by your audiences over the past couple of years? The album was well received with many positive encouraging reviews (including LTTM!) and I've had some amazing emails from people who had been ministered to by certain songs or the album as a whole. Tracks from that album have also been recorded by a few other artists. This is very special when one of your songs touches another artists heart and audiences to the point were they want to record your songs. Where have you been touring lately and where can people catch you next? Liz and I had a UK Christmas tour which took us down south near London then across to Suffolk and around the Northeast of England. This year, Liz and I have our very first Canadian Tour in May starting in Toronto on May 3rd. Then it's back over to America later on in the Year, and hopefully another Christmas Tour in the UK. I also have bookings were I am being joined by a Prophetic Artist Julia Powell who was the artist of the front cover of the single (but not the text). While the concert is being held Julia paints on stage. She came on tour with us last year to the US and was a huge success. Her paintings are powerfully prophetic and add a new dimension to our concerts & worship times. Julia will be joining us on our US Tour 2014. Julia & I are also organising a Music & Art residential weekend soon to be announced. I'm also doing one-off concerts all over the place, but I'm always looking to do more. Check out my website for updated information or Plankton Records website or my Facebook page. Any plans to enter the studio again soon? Yes, Plankton Records & I are keen for me to start work on my next album. It is in the planning process at the moment. I'm really looking forward to creating this next album. I have songs ready now and I'm continuously writing. I am particularly happy about a song I wrote at Jackie's home in the USA in January titled "You See Me". Regardless of what happens to us or what others think, God sees us and He knows the beginning from the end. As we fasten our eyes on Jesus and trust in Him, He will take care of our lives and watch over us always. He is the God who sees you. What does the next year hold for Vivienne Neville? Well, apart from the tours and gigs, and (hopefully) the recording of my next album, I am working with a great gospel worship team at the moment headed up by an amazing worship leader who is on fire for God. I look forward to our weekly music practices and to church on a Sunday. God is doing amazing things in the churches around the world, a mighty move of His Spirit is upon us. Praise, Worship & Prayer continue to be a priority for 2014 and beyond. In the world of music for me, all of the above plus wherever God sends me. To finish with Thank You LTTM for your continued support.